Kenya Hara created the D-Tunnel for teacup poodles. 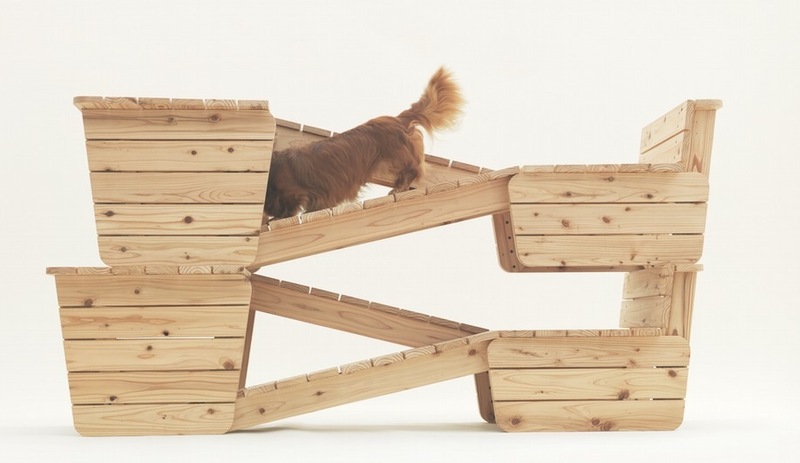 Atelier Bow-Wow designed this rest-and-play structure for long-bodied, short-legged dogs, such as dachshunds. 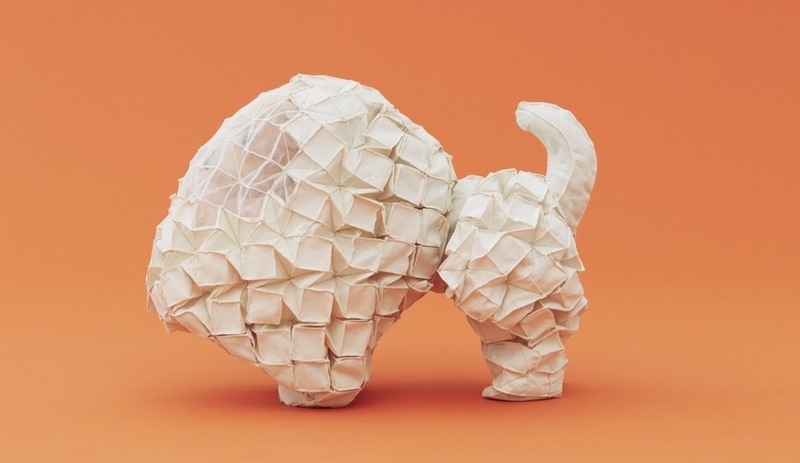 Reiser Umemoto designed this pillowy textile, called the Chihuahua Cloud, for the tiny pup. 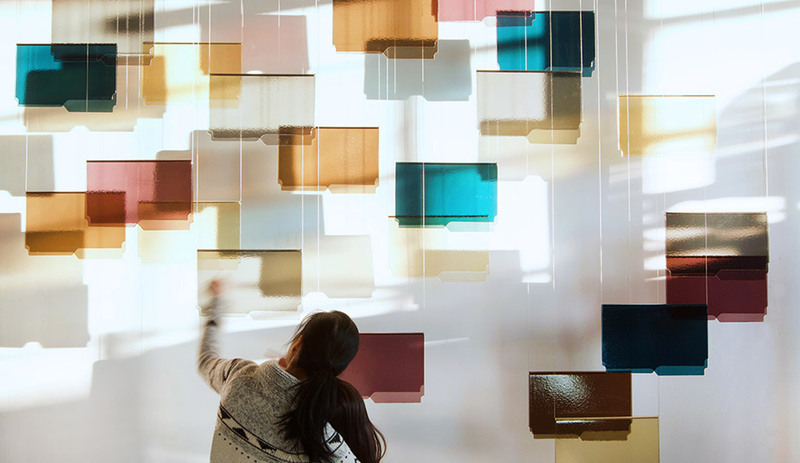 Last week at Design Miami, Kenya Hara presented an ultra-modern collection of furniture and playthings for dogs, by such prominent architects as Sou Fujimoto, MVRDV and – of course – Atelier Bow-Wow. 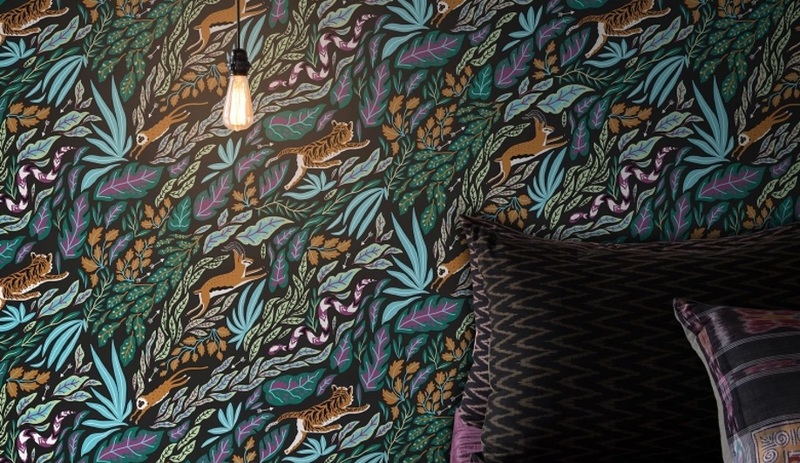 Architects and designers almost always focus on the needs of humans. From a pet’s perspective, living in such a people-centred world must sometimes be a drag. 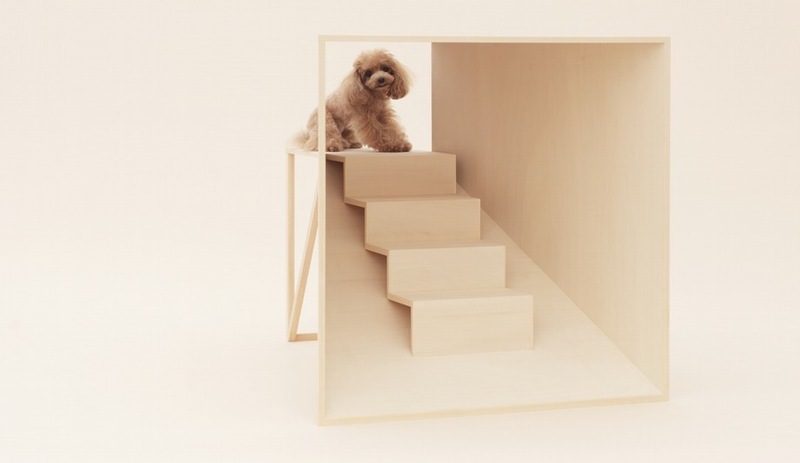 Hoping to improve the situation for dogs, Kenya Hara, the Japanese graphic designer and art director of Muji, created Architecture for Dogs – a project that paired a dozen of the world’s top architects and designers with specific breeds of dogs to see what happened. With participants such as Toyo Ito, MVRDV, Shigeru Ban, Konstantin Grcic, and Kengo Kuma, felines have reason to be jealous. However, Hara stresses that he didn’t embark on the project simply because he’s dog crazy. “This isn’t so much a project for pets, but a means of appreciating architecture in a new reality,” he says. 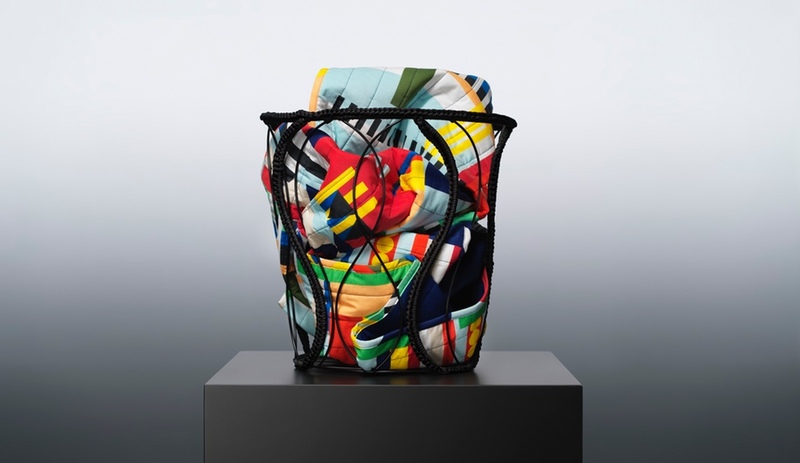 “I thought it would be meaningful to implicate architecture in this universally understood and appreciated theme.” The results are extraordinarily diverse, from doghouses and furniture to new modes of transport and even avant-garde dog clothing. 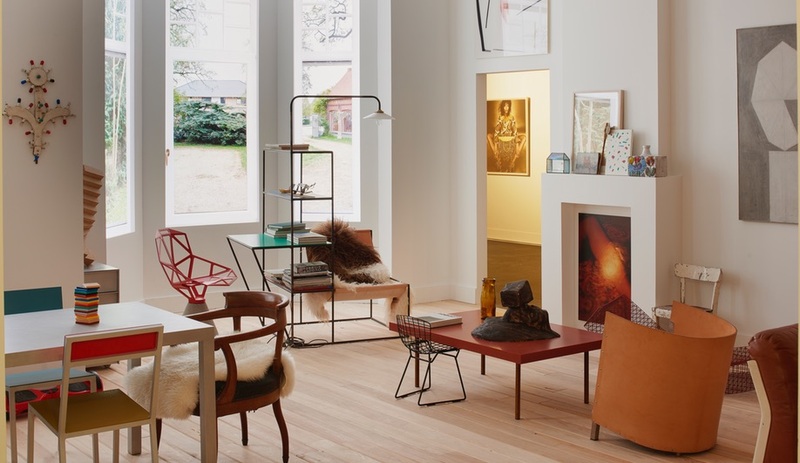 Sou Fujimoto developed a frame-like indoor doghouse for a Boston terrier that doubles as a storage unit for the dog’s master. 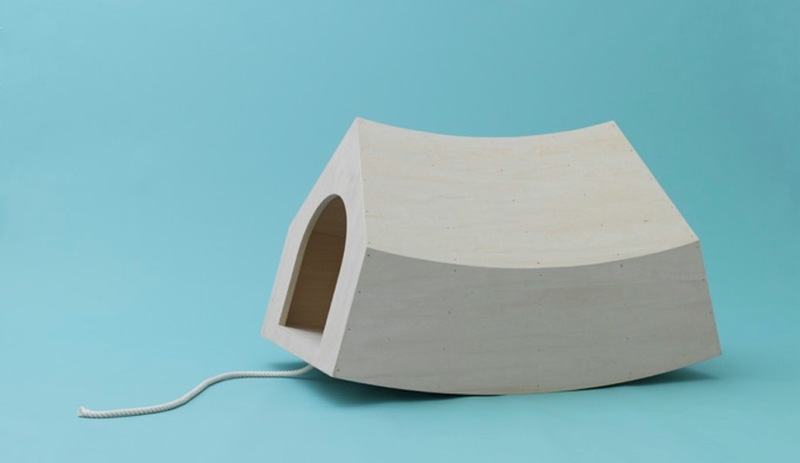 Atelier Bow-Wow created wooden perches for both pet and parent, connected by dachshund-friendly ramps. Toyo Ito proposed a basket-like stroller for a shiba inu. Reiser + Umemoto created a textile enclosure for a chihuahua that resembles pillowy body armour.